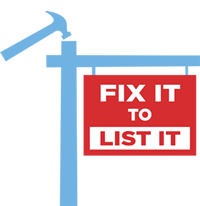 At Pipe Works Services, Inc., our Fix It to List It specialists know that real estate professionals have unique needs because of their industry. We understand the sensitive nature of a transaction when a concern is raised by an inspector or potential buyer. We also know that you are working under strict deadlines that need to be met. Our goal is to respect the interest of all parties involved and help you successfully move towards closing. ESTIMATES: Our Fix It To List It specialists will visit your listing and perform a full evaluation and provide you with an estimate. UNMATCHED REPUTATION: We have been providing excellent service for over 17 years. NO SUB-CONTRACTORS: We are the largest plumbing, heating, air conditioning, insulation, electrical, and installation company in New Jersey that does not use sub-contractors. WARRANTY: We have the largest standard warranties in our industry!